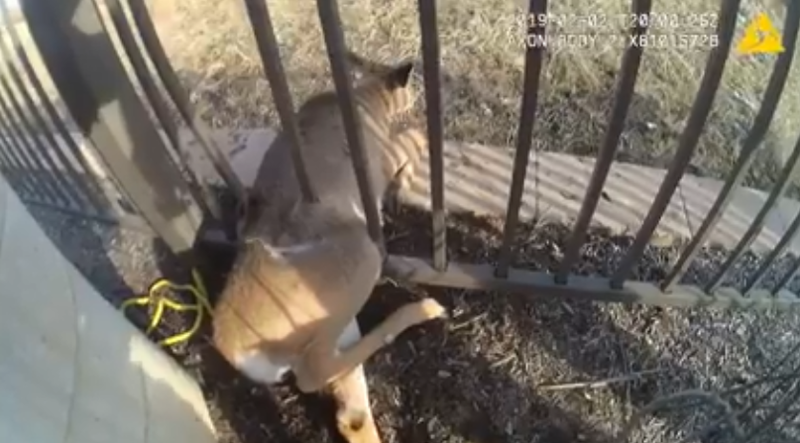 Plainsboro (NJ) police rescued a deer trapped in a metal fence and the video is incredible. That was Sgt. Finkelstein, Ptl. Breyta, and Ptl. Kowalczyk working with 2 citizens to save Bambi.